Stanislaus State has been recognized by the Princeton Review for the 11th consecutive year as one of the nation’s best 381 colleges. 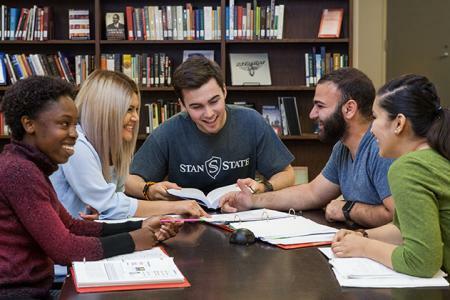 Stan State joins Sonoma State and San Diego State as the only three members of the California State University system on the Best 381 list, which includes seven members of the University of California system. The Princeton Review, based in Massachusetts and New York City, claims to select colleges based on their high opinion of the institutions’ academics. It collects data as well as student and faculty input from 2,500 schools for the lists and rankings included in its annual guide to colleges, which it first published in 1992. Only about 15 percent of America’s four-year colleges are profiled in the book, which is one of The Princeton Review's most popular guides. Unlike other publications, the Princeton Review, which is not affiliated with Princeton University, does not rank the schools it places on the Best 381 colleges list. As part of being included in the Best 381 list, Stan State also is included on the publication’s list of the best 126 schools in the West Region. The Princeton Review report comes on the heels of Washington Monthly’s annual college rankings, in which Stan State continued to move up in several areas. Washington Monthly lists Stanislaus State as No. 5 in the nation for master’s programs (up from 28th last year) and No. 5 in the West Region in the “Bang for Your Buck” category (up from 10th last year.) In addition, Stanislaus State earned a spot on the publication’s inaugural list of the nation’s top 100 four-year schools for adult education. Also, in mid-September, U.S. News & World Report placed Stan State at No. 14 among public universities in the West region, one spot higher than last year. In addition, Stanislaus State is ranked No. 61 regionally among all four-year colleges. It's the 21st consecutive year Stan State has been ranked by the publication as one of the region's top universities.